Integrate BIM 4D in your design and planning systems with SYNCHRO PRO. Learn how to use Synchro PRO. With this tool you can see, analyze, communicate … the sequence of activities in real time. 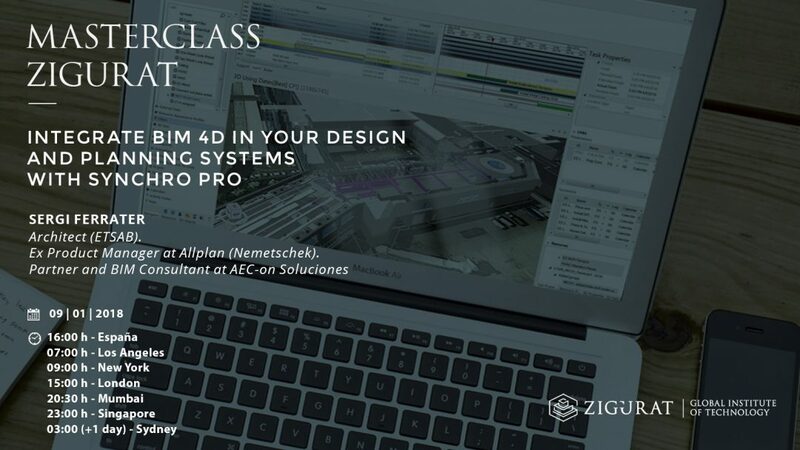 Concurrent activities and other conflicts are easily identified, resolved and coordinated spatially, integrating the 4D BIM with your design systems (Revit, AECOsim, Allplan, ArchiCAD, Tekla …) and planning systems (MS Project, Spring …).